ARLINGTON, TX. – The Wings ended the season series against the Minnesota Lynx with a 76-72 loss at home to move to 7-8 on the season. The Wings raced out to a 7-0 lead behind five Kayla Thornton points. The Lynx used an 8-0 run of their own to take the lead back 8-7 midway through the first quarter. The Wings regained the lead and took an 18-16 advantage through one period. Early in the second quarter, Liz Cambage scored an and-one layup which gave her 1,000 points for her career. The Lynx used a 15-0 run in the second quarter and took a 40-33 into the locker room. With six first-half points, Skylar Diggins-Smith passed Swin Cash for the second most points in Wings history. Cambage led the Wings in the first half with 14 points on 6-for-11 from the field as well as five rebounds. Cambage did not return to the game in the second half due to an eye injury. The Lynx started the third off with an 8-0 run that put them in front by 15 points – their largest lead of the game. But the Wings countered with a 17-4 run of their own to pull within one point, 56-55, heading into the fourth quarter. Allisha Gray led the Wings in the third, scoring nine points. 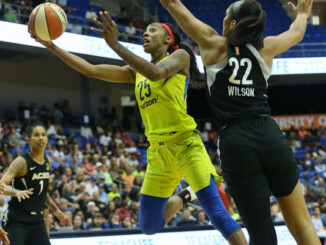 The Wings and the Lynx battled throughout the fourth quarter, with the Wings taking the lead, 72-70, on a Gray layup with just over two minutes to play. Minnesota ended the game on a 6-0 run to take a 76-72 victory over the Wings to sweep the season series. Diggins-Smith led the Wings with 16 points on 5-for-11 shooting, including 2-for-6 from three. She also added seven assists. Gray scored 15 points on 5-for-13 from the field, dished out three assists and grabbed two rebounds. Cambage recorded 14 points and five rebounds. The Lynx were led by Maya Moore who scored 26 points on 10-for-20 from the field and grabbed six rebounds. The Wings continue their three-game homestand with the Chicago Sky on July 3 before facing the Indiana Fever on July 5. 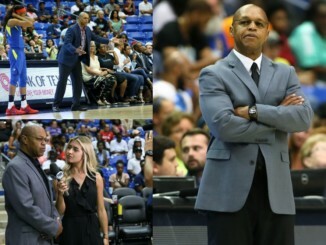 Dallas Wings relieved Fred Williams of his coaching duties.